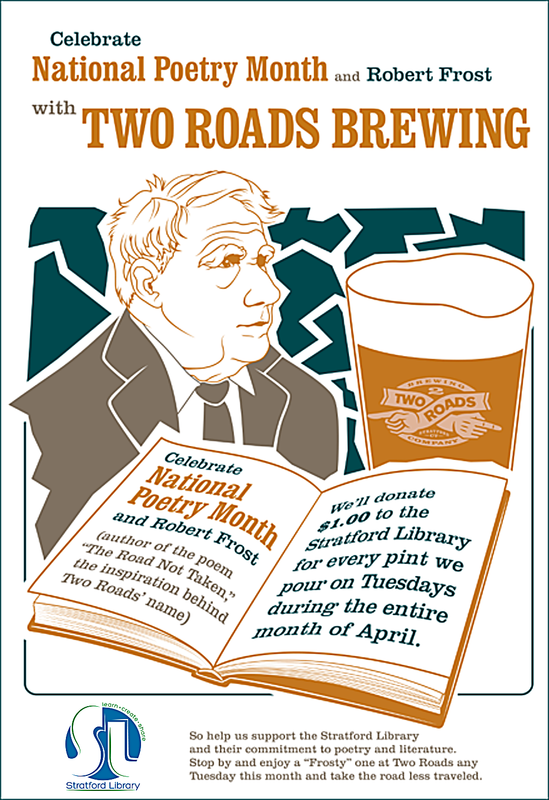 Two Roads Brewery is hosting a fundraiser for the Library in April, as they have for a few years now. In celebration of Poetry Month, a dollar for every pint they sell on Tuesdays in April will be donated to the Library! Click here to find out which food truck will be parked outside each Tuesday in April. Make plans to stop in after work one Tuesday (or more)! Click here to visit the Two Roads Brewing Company website.